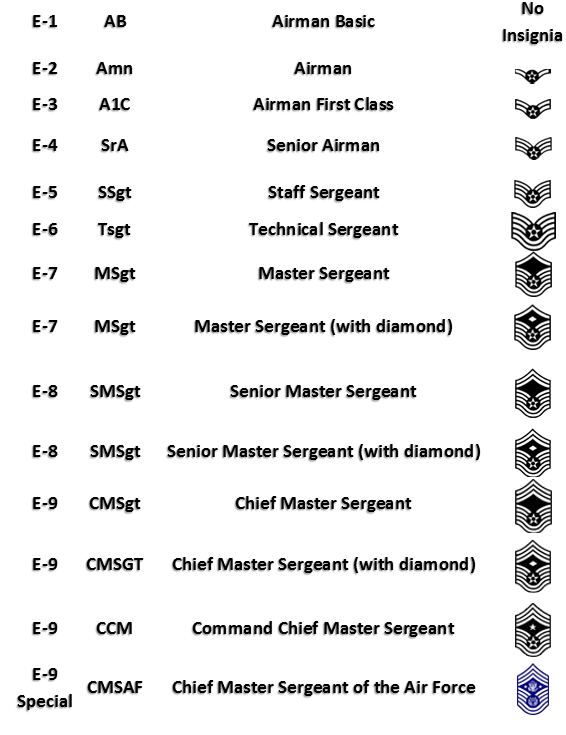 Ever wonder about those shiny things on a service member’s collar meant? 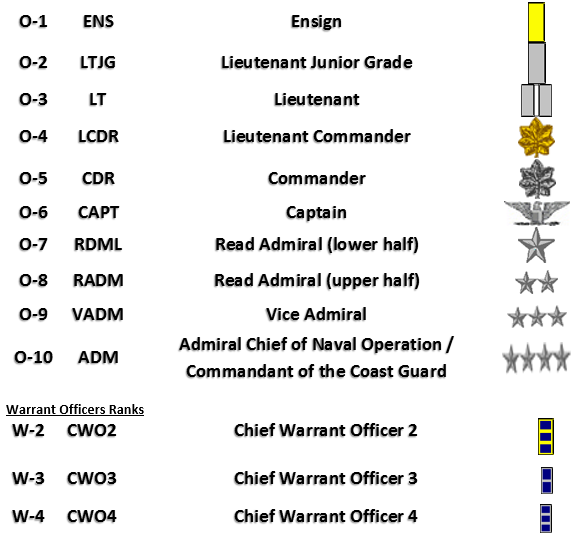 What a Master Chief Petty Officer meant in the grand scheme of things? 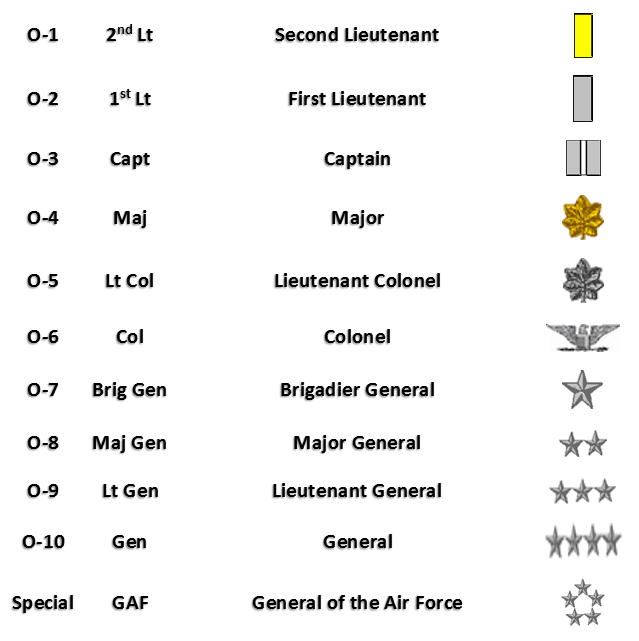 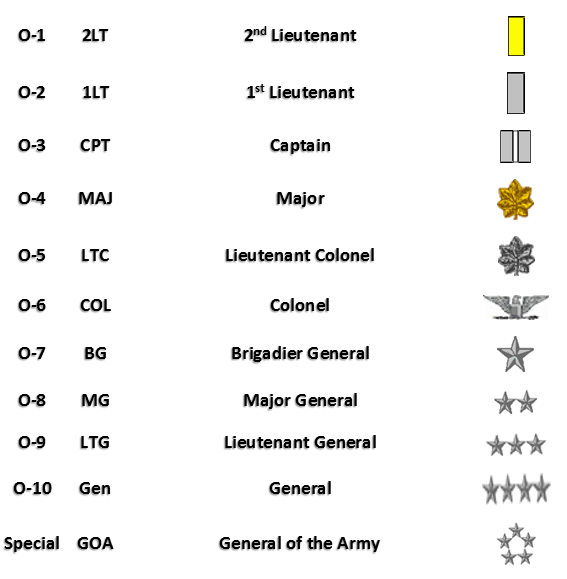 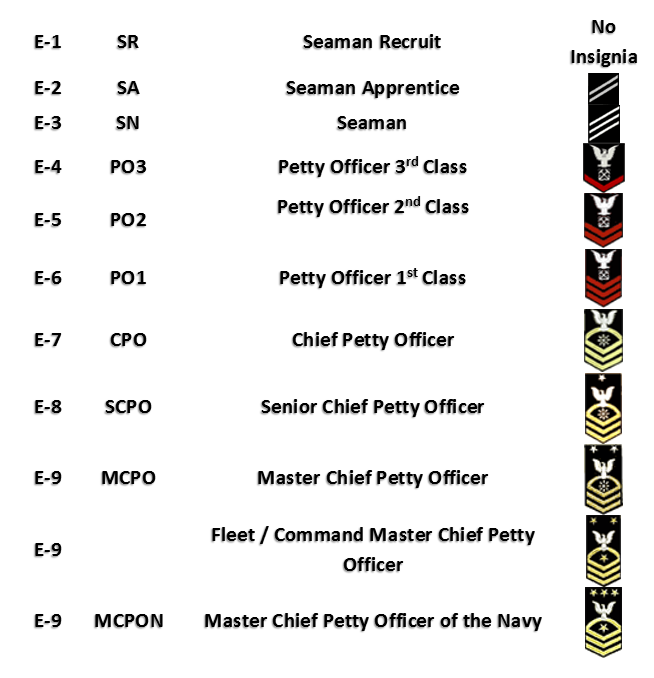 Our military is reputable for having a structured way of conducting its business; so take a look at how the personnel are structured. 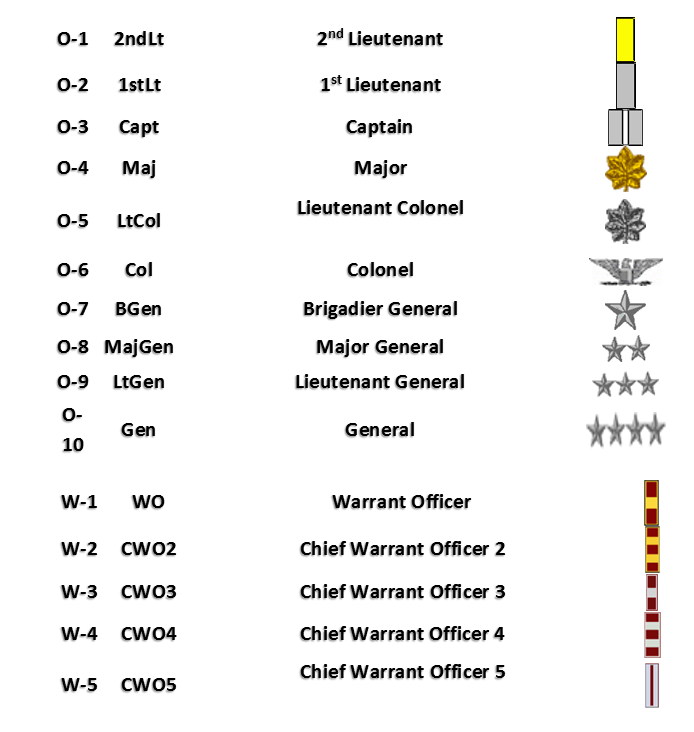 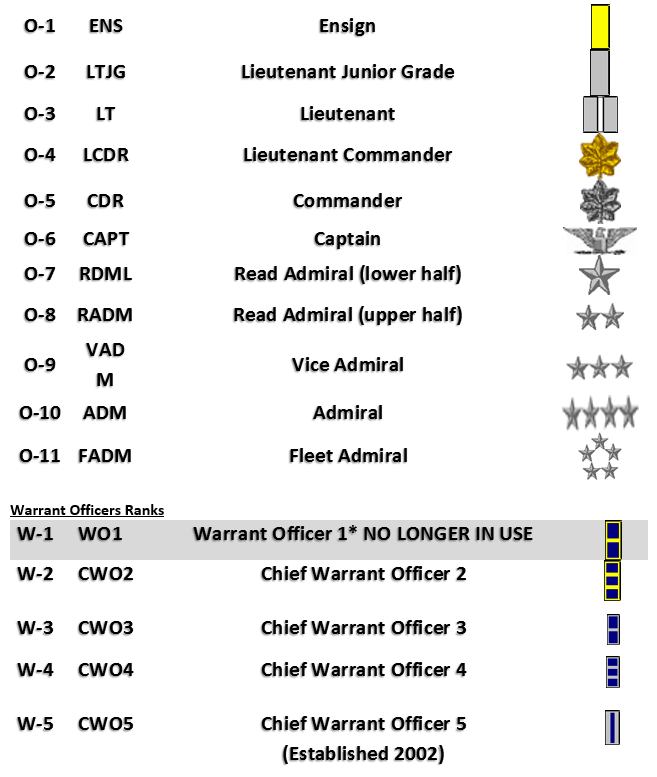 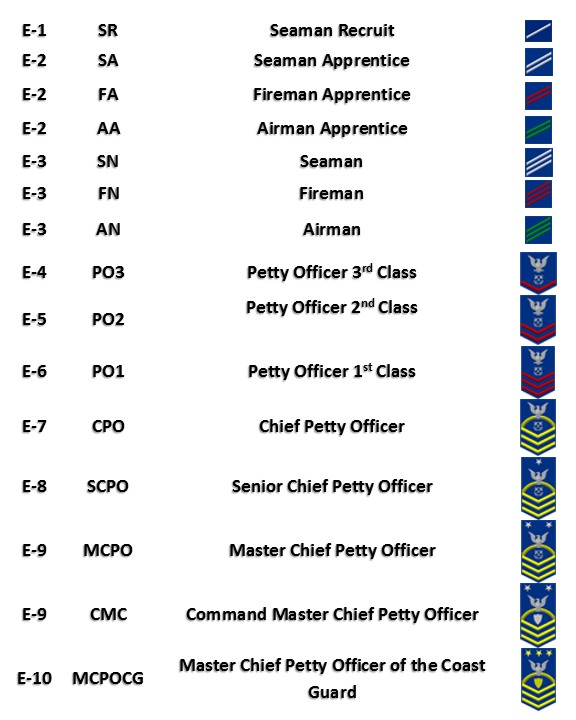 These links will direct you to each branch of service’s respective Enlisted, Officer, and Warrant Officer rank structure. 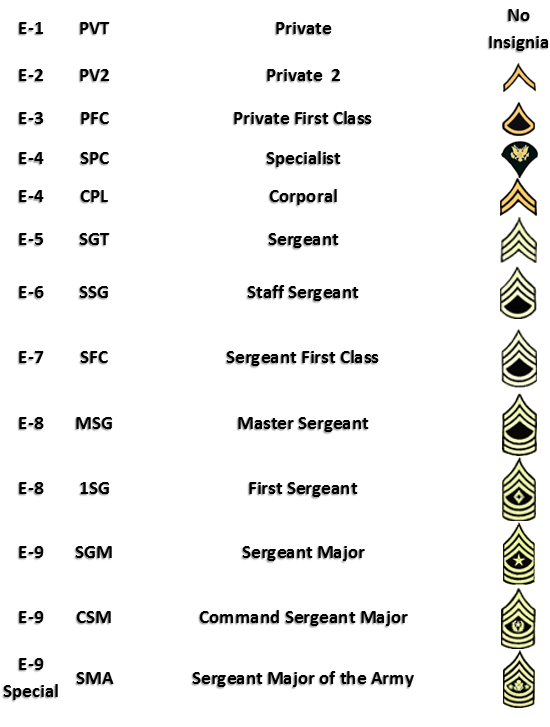 Please note that certain branches have “special” ranks in which there is limitations associated with them (i.e. 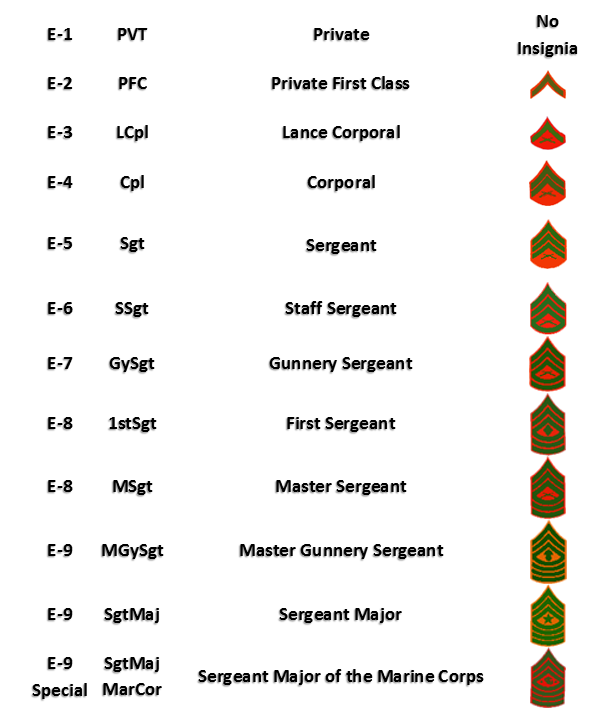 There is only one Commandant of the Marine Corps at any time, the same applying to the Sergeant Major of the Marine Corps).